It’s been a little while in the making but we’ve finally launched publicly accessible product pages. This means that you can browse the entire WP App Store catalogue of plugins and themes right from the main website, neat right? 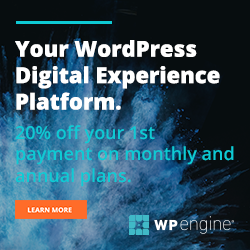 That’s not all though, if you have an existing WP App Store account you’ll be able to jump right into your WordPress dashboard and purchase the product immediately. Jumps you straight into your WordPress installation. To try this out, simply log into an existing website running WordPress and log into your WP App Store account from the WP App Store menu item in your dashboard navigation. Once logged in you’ll be able to return to the WP App Store website and browse the catalogue. 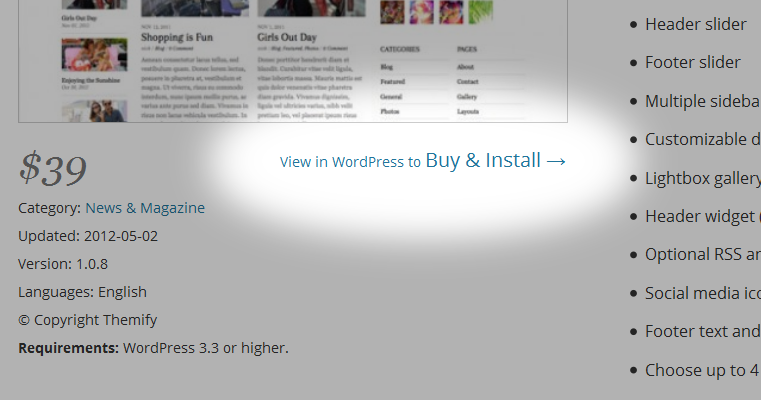 You’ll now see a “View in WordPress to Buy & Install” link for each item. If you follow this link you’ll be able to choose an existing WordPress website. Once a website is chosen, you’ll be taken to product page within the WP App Store plugin in your WordPress dashboard. Here you can purchase this product and install it straight away. This page allows you to select one of your WordPress websites. We’re Listening to Your Feedback! As much as we wanted to implemented this feature from the get go it was also a heavily requested feature from the community. Many were hoping to view the WP App Store catalog from our website, here’s one such example of feedback we received. The other great benefit for us is that the product pages are now indexed in search engines. This not helps get WP App Store brand out there a little more but will help those searching for specific products in Google and other search engines. The Canvas theme page in Google’s index. We’re also in the process of launching ratings and reviews for WP App Store, it might even be live by the time you read this. This is great as it will allow you to compare products from different vendors without second guessing whether or not the reviews are biased. That’s it for now folks, what do you think of these updates? What else would you like to see from us here at WP App Store, we eagerly await your feedback. Developer and previous owner of WP App Store, host of the Apply Filters podcast, and founder of Delicious Brains Inc., the company behind WP Migrate DB Pro.